JackCotton.com :: What's Your Business Plan For Next Year? What’s Your Business Plan For Next Year? I remember my elders telling me how fast time would go as I got older. The end of the year is approaching at a blazing pace and it’s time to begin the process of planning for the next year. 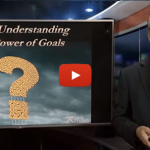 Today’s video begins with a discussion on goal setting. I will show you my young nephew coaching his cousins on a slack-line during a backyard barbeque. That will evolve an understanding of a little space at the back portion of your brain called the Reticular Activating System and how it almost guarantees the attainment of your goals. If you need my goal-setting spreadsheet, just send an email and I will shoot it over. 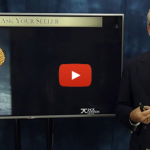 Why Should You Coach Your Sellers? How S.T.U.P.I.D. Are Your Goals?